Thoroughbred Racing’s 2012 Champions, Including Horse of the Year, to be Crowned January 19 at Gulfstream Park in Hallandale Beach, Fla.
Tickets for the 42nd annual Eclipse Awards, presented by Daily Racing Form, The Stronach Group and The Breeders’ Cup, and featuring the announcement of 2012 Horse of the Year, are now available for purchase. 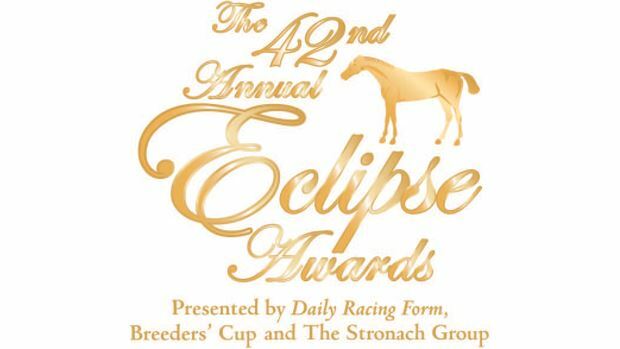 The Eclipse Awards will be held Saturday, January 19, at Gulfstream Park Racetrack and Casino in Hallandale Beach, Fla. This year’s Eclipse Awards features several hotly contested races, including Horse of the Year. Among those expected to contend for 2012 Horse of the Year are Breeders’ Cup Classic winner Fort Larned; Kentucky Derby and Preakness victor I’ll Have Another; Breeders’ Cup Ladies’ Classic heroine Royal Delta; and track record-setting Breeders’ Cup Mile winner Wise Dan. Tickets are available for $375 each or $3,750 for a table of 10. A block of rooms have been reserved at the Westin Diplomat Resort and Spa, located on the ocean and only a short distance from Gulfstream Park. For ticket purchases and room reservations, please contact Michele Ravencraft of the NTRA at mravencraft@ntra.com, or call (859) 422-2657. Click here to link to additional event information. Eclipse Charity Golf Tournament at Westin Diplomat Country Club. Eclipse Celebrity Charity Poker Tournament. Eclipse-eve Cocktail Party Under the Stars(admission included with Eclipse Award ticket). Eclipse Awards Dinner, Awards Ceremony and After Party. ‘Sunshine Millions’ featuring six rich stakes events offering over $1,000,000 in purses. Daily Racing Form Handicapping Conference. ‘First Chance, Last Chance’ Handicapping tournament (Saturday-Sunday) and qualifier to the Daily Racing Form/NTRA National Handicapping Championship in Las Vegas.